The Velcro held the cover in place in spite of strong wind. Very attractive on the patio. This is a replacement for the same cover I bought several years ago. It fits nicely over my grill also protecting the gas tank. It's easy to put on and take off. It stays in place. I live where we have temps from -20 degrees to the upper 90 degrees and this cover wears well. this is just what I wanted great cover for my grill love it. Easy to cover grill with and nice pattern on cover. The product fit the way I expected. I like the fact that it was heavy because the grill is outside and I need durability for the weather. This the second Deluxe item we bought. Loved the glider cover and wanted to try grill cover .These covers are GREAT! Returned that very same day. Because I don't have a cover for my grill. 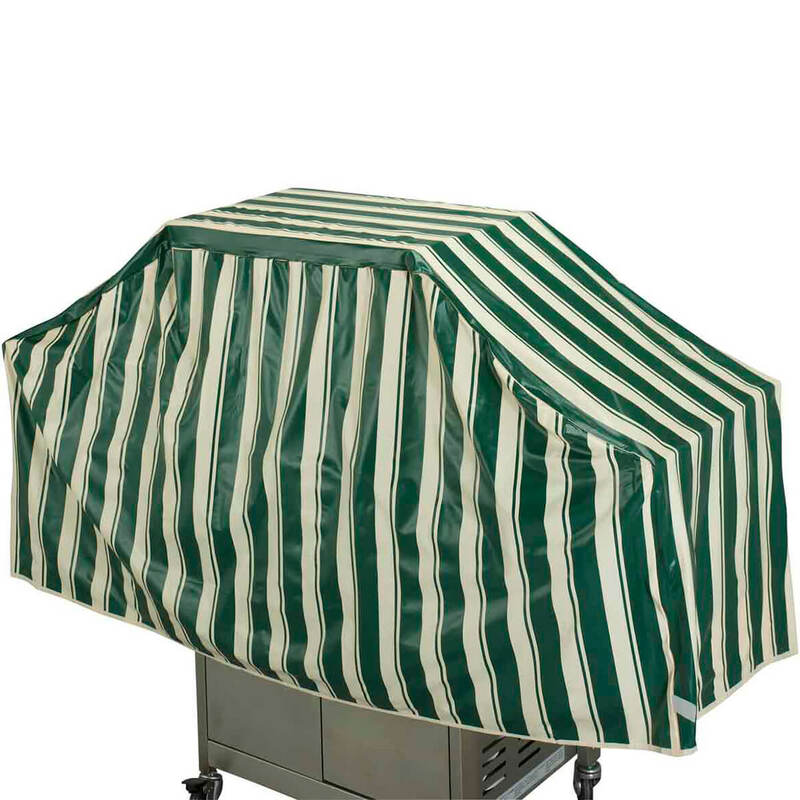 It's a great grill cover...It has lasted for about 5 years and I couldn't ask for any product to last that long with standing weather conditions that this cover went through. We need a cover for our outdoor grill. I have purchased other outdoor furniture covers from MK and have been pleased with them. I'm hoping it matches or blends with my new Sunsetter Awning. LOOKS WELL MADE, OUR LAST GRILL COVER FELL APART DURING THE WINTER EVEN ON A COVERED PORCH DID NOT PURCHASE THAT COVER FROM HERE. Looks sturdier then other choice and definitely needed for weather in my area. Mine ripped and I needed a new cover. very much needed for my grill. This cover is heavier than most. Purchased before..best quality for the price. Lasts 3 to 4 years. Nothing else I've bought compares. It covers my outdoor grill and protects it from the elements. We needed a new grill cover because the last storm ruined our old one. Hope this fits the grill. It looks like it will. Needed to cover grill for the winter, and this color and design matched my awning. Like the look! Tired of the plain black covers. For the material it is made of. This is the second one of these I have purchased. It looks great and fits our grill. Have had the first one several years now but the Iowa winters are very hard on them! we need it to cover our grill. I hope it's the right sixe. Had purchased several locally in stores and the quality wasn't what I expected. This is the best grill cover we ever had. Good quality material and reversible.